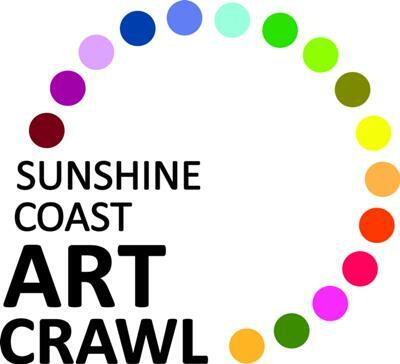 The Coast Cultural Alliance (CCA) is pleased to announce the first annual Sunshine Coast Art Crawl on the weekend of October 23-24, 2010. The Art Crawl offers Crawlers access to participating galleries and art studios along the entire Sunshine Coast Highway from Langdale to Lund. We invite Crawlers to come and experience the vibrant arts and culture community on the Sunshine Coast. Crawlers will be amazed by the hidden talent! Crawlers are invited to join friends and take a scenic drive along the Sunshine Coast, stopping at the wonderful community hubs and studio events throughout the weekend. Meet at the community hubs located in Gibsons, Roberts Creek, Sechelt, Madeira Park and Powell River to experience local entertainment and an opportunity to get started on the trivia challenge for a chance to win great prizes. Join in and write your own page! It's easy to do. How? Simply click here to return to Sunshine Coast BC Events.